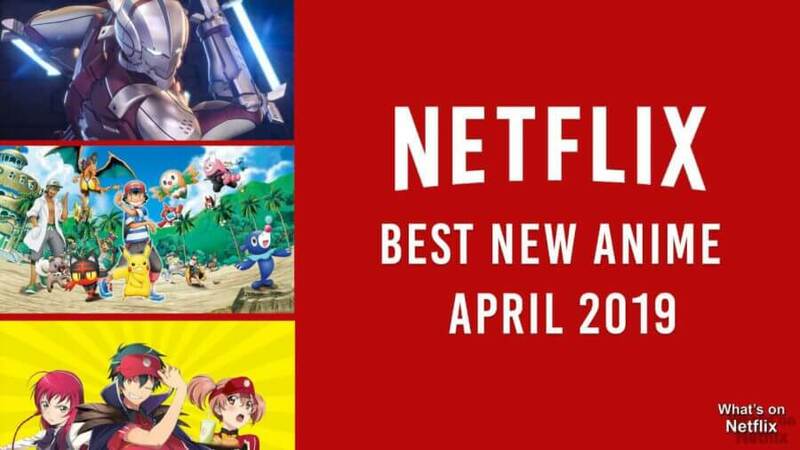 It’s already been a pretty good year for anime on Netflix and it’s only going to get better! That being said we’ve compiled the best that Netflix has to offer. 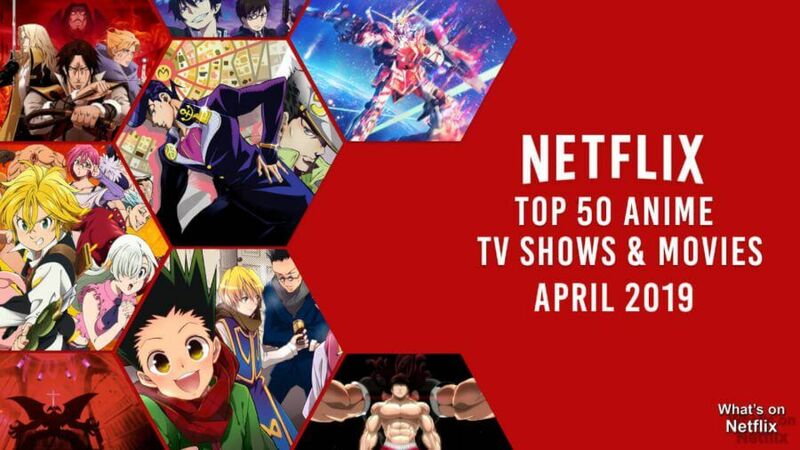 Here’s your top 50 anime tv shows and movies for April 2019. The Apollo 17 missions was a major success after the team discovered the ‘Hypergate’ was discovered on the moon. The alien technology allows the user to travel between the Moon and Mars. Thanks to the Hypergate, Mars is colonized. A group of settlers on Mars discovers an ancient technology, after this discovery, they openly declare independence from Earth and Empire of Vers is formed. Rikuo Nura belongs to the Nura Clan and is next in line to succeed his grandfather as the head of the clan. Due to Rikuo’s heritage, he is a human during the day and transforms into a Yokai at night. In order to avoid turning into a full Yokai, Rikuo helps humans. After finally coming to terms with his destiny, Rikuo embraces his inner Yokai and takes the position as head of the Nura Clan. Rikuo must enlist the help of his friend’s and allies under his banner as Multiple factions threaten his position as head of the Nura clan. Set 2 years after the events of Sword Art Online, Kirito joins the MMO Gun Gale after a series of in-game deaths have led to their real-life counterparts to die. Tasked by the government to find those responsible for the murders, Kirito potentially puts his life on the line to take down the killers of the phantom bullet. The world is covered in an endless ocean of sand, with the only remnants of civilization living on the island of the Mud Whale. The ancient town is inhabited by the ‘the marked ones’, those with the mark have been gifted with supernatural abilities but they are also cursed knowing they will have untimely deaths. The village archivist Chakuro travels to other islands to document his discoveries. After 6 months of traveling, Chakuro and his friends discover a brand new island. On the island, they find remnants of an ancient civilization. Within its remains, Chakuro discovers a girl that will change the destiny of everyone forever. It’s the year 2022 in Japan. The brand new virtual reality MMO Sword Art Online has just released but soon the gamers find themselves trapped within the game and can’t log out. Trapped within the game the creator tasks the gamers to defeat the final boss if they wish to escape. His mission comes with a fatal twist, if you do in the game then you will die in real life. In an alternate future, most of humanity has chosen to abandon their physical bodies in favor of relocating to DEVA, the hyper-advanced space station orbiting the earth. For the humans left behind on Earth, they are at risk of starvation and death due to the disaster that devasted the earth years before. The hacker known as Frontier Setter breaks into the DEVA system and begins to send inflammatory subversive messages to its inhabitants. Now labeled as a threat, Frontier Setter is being pursued by the DEVA law enforcement. When a signal on earth leads law enforcer Angela to earth she transfers her consciousness into a clone body so she can travel the world to arrest Frontier Setter. Ancient demons have returned to take the world back from mankind. In response to this threat, the human Akira successfully bonds with a devil to become a ‘Devilman’. In bonding with a demon, Akira is granted the power of a demon but keeping his soul intact. Using his powers for mankind he takes the fight to the demons and goes to war. Sinbad was born to ex-soldier Badr and his gracious wife Esra in the tiny village of Tison within the Parthevia Empire. After a tragedy changes his life forever Sinbad many years later leaves the village to travel the world. After encountering fellow adventurer Yunan, the wayward pair travels together to take on the challenges of the dungeons. The treasure within these dungeons will grant the power that Sinbad needs to become king of the seven seas. In an alternate reality, magic has influenced the development of technology. Enrolling into First High magic high school are the siblings Miyuki and Tatsuya Shiba. The siblings are connected to the infamous clan know as Yotsuba, to protect themselves they choose to keep this a secret. Miyuki is praised for her magical ability while her brother is constantly shunned for ineptness. In the private academy of Hykakkaou, it isn’t your athletic ability or your academic skills that gets you to the of the school. It’s your skill to read your opponent and to destroy them in a game of Poker or Black Jack. When newcomer Yumeko Jabami arrives at the school she shakes the very foundations of it to its core after as she teaches the students what it means to be a real gambler. Yashiro Isana leads an ordinary and simple life in the technologically advanced city of Shizume. Yashiro happily attends Ashinaka High School where he is well known and liked by his fellow students. But after a person bearing a striking resemblance to Yashiro murders Tatara Totsuka, a high ranking member of the HOMRA he has to flee as the gang seeks revenge for the murder. Aspiring young pianist Shuhei recently moved to the countryside and befriends fellow classmate Kai Ichinose. After witnessing Kai play on what should have been an unplayable piano he tries to convince his friend to hone his skills. After teacher Sosuke Ajino agrees to teach Kai, Shuhei soon realizes that through his best friend he has created his toughest rival. 450 years before the events of the Kuromukuro, a host of aliens invade Japan. During the Sengoku period of Japan, the people have dubbed the alien mecha and drones as Oni. As the clans fall victim to the invasion, the Washiba clan had fought back with a stolen mecha piloted by clan heir Yukihime and the samurai Kennosuke Tokisada. After succeeding in fighting back the invaders the mecha used is caught in an explosion. Yukihime disappears and Kennosuke enters a cryostasis. 450 years later Yukina Shirahane, daughter of a UN facility director accidentally awakens the cockpit of the giant mecha and releases Kennsosuke from his cryostasis. “Pikachu, I choose you!” The worldwide phenomenon Pokemon is now over 20 years old. Watch where the journey began as follow rookie Pokemon trainer Ash Ketchum and his Pikachu as they travel across the region of Kanto capturing Pokemon and battling fellow trainers. Death City is home to the famous Death Weapon Meister Academy, a technical academy headed by the Shinigami—Lord Death himself. Its mission: to raise “Death Scythes” for the Shinigami to wield against the many evils of their fantastical world. These Death Scythes, however, are not made from physical weapons; rather, they are born from human hybrids who have the ability to transform their bodies into Demon Weapons, and only after they have consumed the souls of 99 evil beings and one witch’s soul. After celebrating their victory against Al-Thamen, Aladdin and his friends depart the land of Sindria. With the end of the battle, however, comes the time for each of them to go their separate ways. Hakuryuu and Kougyoku are ordered to go back to their home country, the Kou Empire. Meanwhile, Aladdin announces he needs to head for Magnostadt—a mysterious country ruled by magicians—to investigate the mysterious events occurring in this new kingdom and become more proficient in magic. For their part, encouraged by Aladdin’s words, Alibaba and Morgiana also set off in pursuit of their own goals: training and going to her homeland, respectively. As a child, Akko was inspired to become a great witch after witnessing a magical performance by the witch Shiny Chariot. Even though she Akko hails from a non-magical family she still enrolls in the Luna Nova Magical Academy. Determined to become the best possible Witch she can be, Akko refuses to be seen as inferior to her peers. With the help of her friends and her wand Shiny Rod Akko will learn what it means to be a Witch. One day, Griffith, the mysterious leader of the mercenary group Band of the Hawk, witnesses the warrior’s battle prowess and invites the wandering swordsman to join his squadron. Rejecting the offer, Guts challenges Griffith to a duel and, much to the former’s surprise is subsequently defeated and forced to join. Violet Evergarden, a young girl formerly known as “the weapon,” has left the battlefield to start a new life at the CH Postal Service. There, she is deeply moved by the work of “Auto Memories Dolls,” who carry people’s thoughts and convert them into words. So begins her journey as an Auto Memories Doll, and comes face to face with various people’s emotions and different shapes of love. All the while searching for the meaning of the words her mentor had last said to her. For three years, Guts believed his mission was to pursue Griffith’s dream together with him. But in order to become Griffith’s equal and truly be called his friend, Guts realizes he will have to leave the Band of the Hawk. At the same time, a bloody battle to capture the impenetrable Fortress of Doldrey from the Empire of Chuder is about to begin. 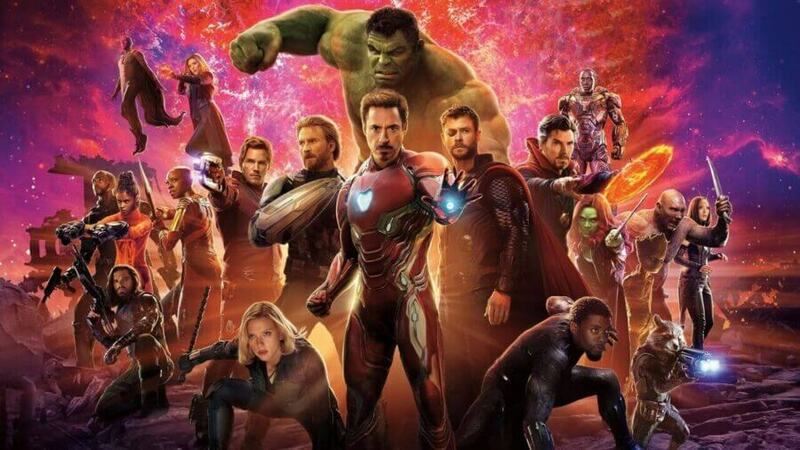 The Band of the Hawk will face an army 30,000 strong! The Holy Grail is a mysterious and omnipotent object, with the promise to grant the holder any wish they desire three wars had been fought so fierce and bloodthirsty not a single victor was left standing to claim the Holy Grail. Einzbern a wealthy European family has full confidence a victor can be declared from a fourth War. The ever hated Kiritsugu “Magus Killer” Emiya is hired by the family with Marriage to their only daughter the price and cost of a binding contract. Kiritsugu now stands at the center of a cutthroat game of survival, facing off against six other participants, each armed with an ancient familiar, and fueled by their unique desires and ideals. Saber is his ancient familiar and the notorious mercenary soon finds his greatest opponent in Kirei Kotomine, a priest who seeks salvation from the emptiness within himself in pursuit of Kiritsugu. The Band of the Hawk has dwindled in the year since Guts left them on his journey to forge his own destiny. Unaware of their fate, Guts returns to the Hawks, now being led by his former ally Casca, after a rumor about them passes his way. Once the saviors of the kingdom of Midland, the Band of the Hawk are now hunted as they desperately fight for their lives while plotting to free their leader, Griffith after he was imprisoned for committing treason. But the man they save is far from the Griffith they remember. Innocent 18-year-old Suzu is a young woman that loves nothing more than drawing. An unknown young man proposes to Suzu and while reluctant at first she soon agrees to his proposal. Moving away from her home of Hiroshima to the town of Kure, with her new husband Shusaku, Suzu adjusts to her new life. But with the looming threat of Pacific War soon the lives of her and her family will change forever. Yaguchi isn’t handsome, he isn’t smart and he doesn’t have much to brag about except his ability to play arcade games. But when his position as the best in the arcade is challenged by fellow student Ono, Yaguchi is soon put in his place. Soon the pair become close rivals and constantly challenge each others ability across all manner of arcade gaming. Former Pianist prodigy Kousei Arima can no longer hear the notes of the Piano when he plays, pushed too far and pressured into becoming a great pianist by his dying mother he cracks under the pressure and weight his Mother has forced upon him. Two years later, Kousei still avoids the piano, leaving behind his admirers and rivals, and lives a colorless life alongside his friends Tsubaki Sawabe and Ryouta Watari. However, everything changes when he meets a beautiful violinist, Kaori Miyazono, who stirs up his world and sets him on a journey to face the music again. The Elric brothers’ mother is dead and their father has long since abandoned them. Deciding to perform a forbidden human transmutation to bring their mother back, they end up losing their bodies. Now Edward must join the military in order to gain certain alchemical privileges, with his one goal being to restore his brother to his original state. But with a war on the horizon, it’s only a matter of time before they are both forced to question their morals and ultimately decide the value of human life. Lucy Heartfilia is a young mage searching for celestial gate keys, and her dream is to become a full-fledged wizard by joining this famous guild. In her search, she runs into Natsu Dragneel and his partner Happy, who is on a quest to find Natsu’s foster father, the dragon Igneel. After a kidnapping mishap, and being saved by Natsu Lucy is surprised to learn that Natsu is a mage of the Fairy Tail guild, he introduces her to the guild and she soon finds herself joining and her quest become wizard begins. Young man Banagher Links meets a mysterious girl who has stowed away on a ship headed for the manufacturing colony of Industrial 7. After the fateful encounter Links life changes forever as he becomes the pilot of the new Gundam suit Unicorn. The suit has a mysterious connection to an item called ‘Laplace’s Box’. This item could threaten the very existence of the Federation. When transfer student Ryuko Matoi, who is searching for her father’s killer, comes to Hannouji, she clashes with Student council president Satsuki Kiryuin and her underlings, dubbed the Elite Four, rule Honnouji Academy. They have the school under complete control thanks to their special outfits “Goku Uniforms” that give them superhuman abilities. Ryuko challenges the Elite Four to a battle that quickly consumes the school. When Satsuki recognizes Ryuko’s scissor-shaped sword, she wonders if their encounter is just a coincidence or if it’s fate. Another day and another dollar for 25-year-old Red-Panda Retsuko. Her modesty and diminutiveness lead to her being exploited by her lazy colleagues and whether it be sexist and misogynistic remarks by her boss and being annoyed by her condescending co-workers Retusko has a unique way of relieving her stress… singing death metal at her local Karaoke bar. Teenage schoolgirl Kagome Higurashi accidentally travels back in time to feudal Japan. Kagome teams up with the half-demon Inuyasha to recover the shards of a jewel of great power. 16. The Disastrous Life of Saiki K.
Based on the manga of the same name The Disastrous Life of Saiki K. is a comedy fantasy anime. The story is centered high school student Kusuo Saiki. Saiki was born with psychic abilities such as teleportation, telepathy, psychokinesis and loads more. All Saiki wishes for is a normal high school life and tries to use his power secretly to do just that. The world is ruled by the Spiral King, Lordgenome. The tyrannical king forces mankind to live in isolated underground villages. Teenager Simon happens to find drill-shaped key known as a Core Drill and a small mecha that greatly resembles a Gunmen. After a much larger Gunmen attacks his Village, Simon uses the core drill and activates the small mecha. By using the Gunmen, Simon defeats the attacking robot and in the process breaks through to the surface. Eager to explore the world a young Aladdin sets out on his journey. The young magician is accompanied by the djinn Ugo, who can be summoned by the flute that Aladdin possesses. After a chance encounter with Alibaba Saluja, they accidentally destroy a merchants cart. To pay the merchant back Alibaba suggests they attempt to find the treasure hidden within a labyrinth nearby. There are many labyrinths throughout the known world with treasure awaiting inside for those brave enough to conquer them. The protectors of the labyrinths are the mysterious Djin. The Djinn can grant successful conquerors immense power and select them as potential candidates to become the ruler of the world. After his wife is burned at the stake after being falsely accused of witchcraft, the vampire Count Vlad Dracula Tepes declares all the people of Wallachia will pay with their lives. He summons an army of monsters and demons which overruns the country, causing the people to live lives of fear and distrust. To combat this, the disgraced monster hunter Trevor Belmont takes up arms against Dracula’s forces, aided by the magician Sypha Belnades and Dracula’s dhampir son Alucard. Ichigo Kurosaki is an ordinary high schooler until his family is attacked by a Hollow, a corrupt spirit that seeks to devour human souls. It is then that he meets a Soul Reaper named Rukia Kuchiki, who gets injured while protecting Ichigo’s family from the assailant. To save his family, Ichigo accepts Rukia’s offer of taking her powers and becomes a Soul Reaper. Rin Okumura is a seemingly ordinary and rebellious teenager until the day he is set upon by demons. His entire world is dropped on its head when he discovers that he is the son of Satan and that his body is the vessel his father needs to return to the Human world. Rather than joining his father Rin is sent to True Cross Academy and trains to become an exorcist, an organization of demon slayers that strive to keep the world safe from the forces of Satan. In the final years of the Bakumatsu era lived a legendary assassin known as Hitokiri Battousai. Feared as a merciless killer, he was unmatched throughout the country but mysteriously disappeared at the peak of the Japanese Revolution. It has been ten peaceful years since then, but the very mention of Battousai still strikes terror into the hearts of war veterans. Over a hundred years ago humanity was on the brink of extinction thanks to monstrous Titans. Hiding in fear the last remnants of humanity now hide behind giant walls that the Titans can’t break through. The peace doesn’t last as a monstrous Colossal Titan breaks down the entrance of Wall Maria and lets loose the Titans among the Humans. The Titans soon begin to eat thousands of the citizens helpless in the city and bearing witness to the death of his Mother is Eren Yeager. After his traumatic personal loss Eren Yeager with his friends Armin and Mikasa attempt to join the Survey Corps, Eren’s wants to become one of the best in the hopes of avenging the life of his mother and to destroy all the Titans before the Titans breach another Wall sealing humanities fate. Ken Kaneki is a shy, bookworm and struggles to speak with women, one day he catches the eye of the beautiful Rize who is an avid reader like himself. After a date with Rize, he walks her home through the back streets of Tokyo and while alone in the dark Rize’s true nature is revealed to Kaneki as she is, in fact, a flesh-eating ghoul known as the “The Glutton”. After an accident on a construction site almost kills Kaneki after running away from Rize, her organs are used to help him live but unbeknownst to the doctors and Kaneki, they have turned him into a ghoul. As Kaneki struggles to hold onto his humanity and his thirst for flesh grows stronger he is saved by Waitress Touka Kirishima as she takes him to the one place that will teach him to integrate into both Human and Ghoul society. High school student and prodigy Light Yagami finds the Death Note of Shinigami Ryuk. Ryuk tells Light the power of the death note, that any name written inside will die almost immediately, doubting the Notebook’s power he tests the notebook by writing a criminal’s name in it. When the criminal dies immediately following his experiment, Light is greatly surprised and quickly recognizes how devastating the power that has fallen into his hands could be. With such power to change the world at his fingertips, Light decides to extinguish all criminals in order to build a new world where crime does not exist. The Police, however, come to the realization that criminals are being targeted by a serial killer but are unable to apprehend him, to find the killer, the Japanese investigators count on the assistance of the best detective in the world: a young and eccentric man known only by the name of L.
Looks can be deceiving and the simple looking Bold Saitama has a rather interesting hobby of being the world’s strongest superhero. After saving the life of a child Saitama trained non stop for 3 years and gained unimaginable strength but with great strength comes great resp- Hair Loss… he became so powerful in fact he can defeat nearly any opponent with One Punch but the price of this power? The Loss of his hair. Saitama’s life changes when the Cyborg Genos witnesses one of Saitama’s heroic acts and wishes to become his disciple. After learning from Genos that no one knows of the heroic deeds Saitama has done for the city he agrees to join the Hero Association. In a fictional world of Great Britain, the Holy Knights of Britannia use immensely powerful magic to protect the region of Britannia and its kingdoms. However, a small subset of the Knights “The Seven Deadly Sins” were framed for the assassination of the Great Holy Knight Zaratas. They have fled the pursuing Holy Knights, but rumors continued to persist that these legendary knights, were still alive. Ten years later, the Holy Knights themselves staged a coup d’état, and thus became the new, tyrannical rulers of the Kingdom of Liones. Princess Elizabeth seeks the help of the Seven Deadly Sins in the hope of saving the Kingdom and her Family. Aspiring young Alchemists Edward and Alphonse Elric break the forbidden act of Alchemy trying to restore the life of their mother. In the act of doing so they come to learn the true lesson of Alchemy “Humankind cannot gain anything without first giving something in return. To obtain, something of equal value must be lost”. Edward loses his leg but Alphonse loses his body and in exchange to bond his brother’s soul to the living world he bounds his body to a suit of iron armor. In the hope of returning to their original bodies, they become State Alchemists and search for the elusive Philosophers Stone. So there you have it folks! That’s our top 50 for animes on Netflix! Do you agree with our selection? Are there any animes you felt we have missed? Let us know in the comments below!